Yas!! 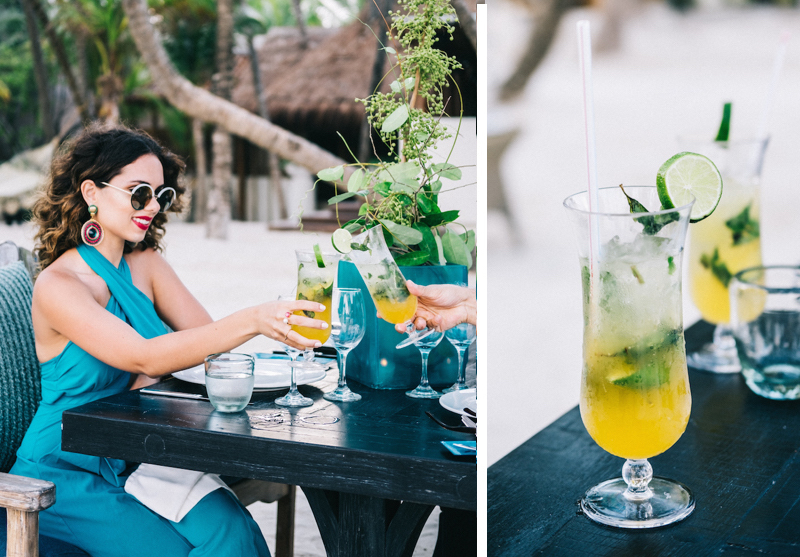 I can finally share the second blog post from our days at Mahekal Beach Resort. 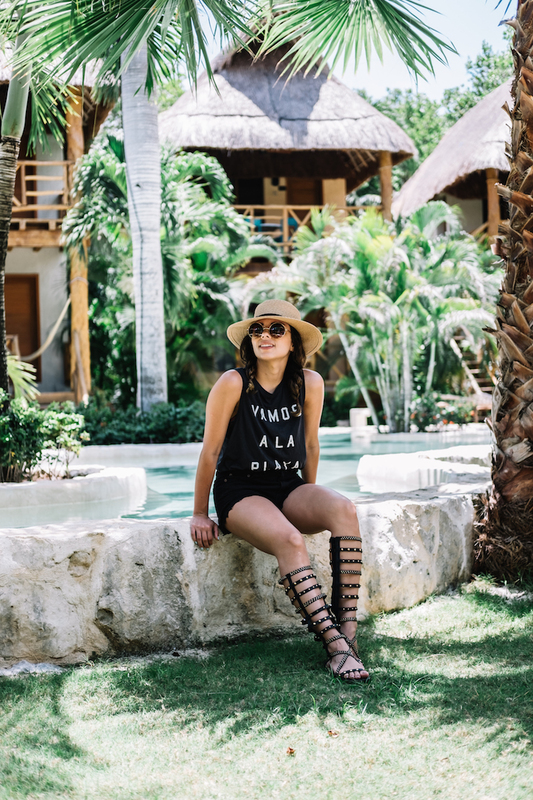 (You can read the first part of this fun adventure in Playa del Carmen by clicking here). 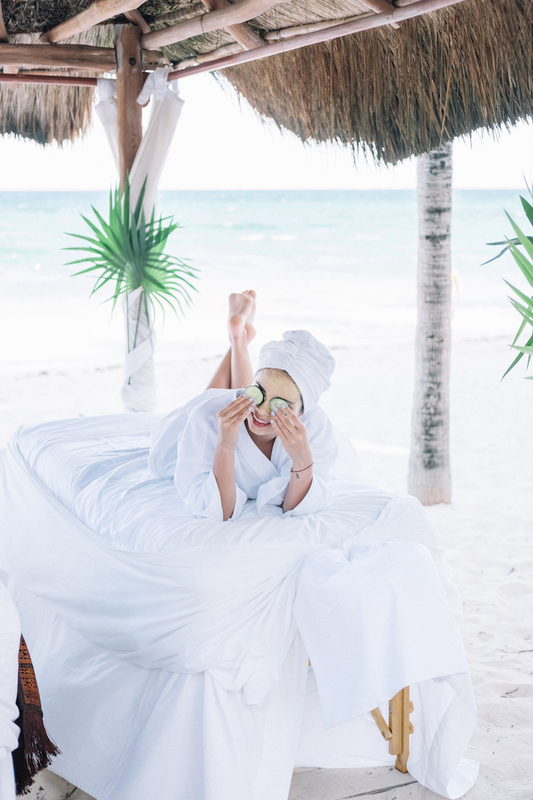 I know it took me a while, but there’s a special surprise at the end of the post that had not launched until this week... on how to enter to win a trip for two to Mexico and a three-night stay at Mahekal Beach Resort with OPI!!! Who’s excited? If you still aren’t, wait until I tell you more about the hotel and about the pretty SoftShades. 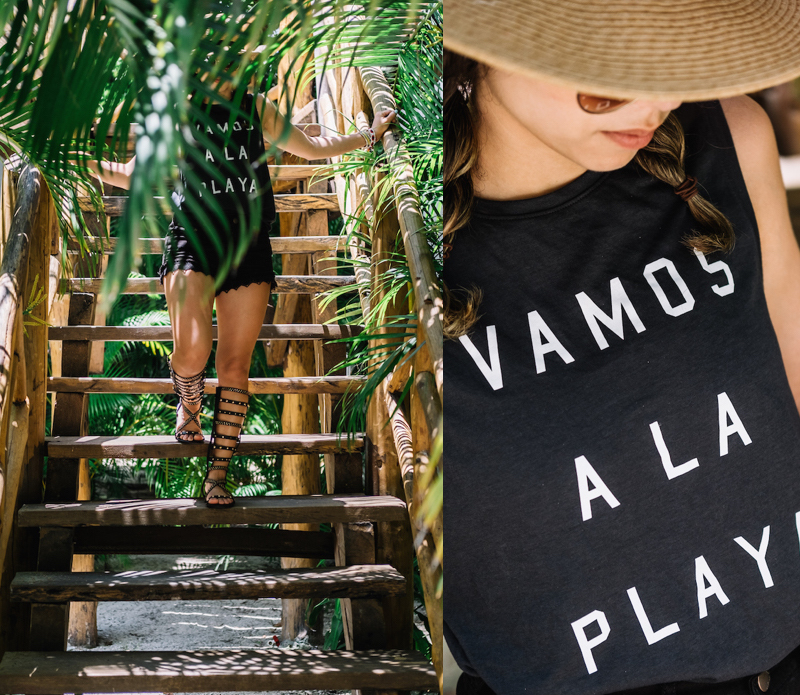 Se que me tardé un par de semanas pero es que hay una sorpresa al final de post que no había salido todavía...y es una rifa para ganar un viaje para dos a México con todo incluido para quedarte 3 noches en este hotel junto a OPI! ¿Quién está emocionada!? Y si no lo estás...sigue leyendo porque todo esto: la cena, los masajes, será parte de la experiencia de los ganadores. Outside of my palapa-style room, I could see the ocean and the infinity pool. I was so inspired by all the gorgeous blue surroundings that I wore my blue-on-blue bikini with “ It’s a Boy “ baby blue from OPI! 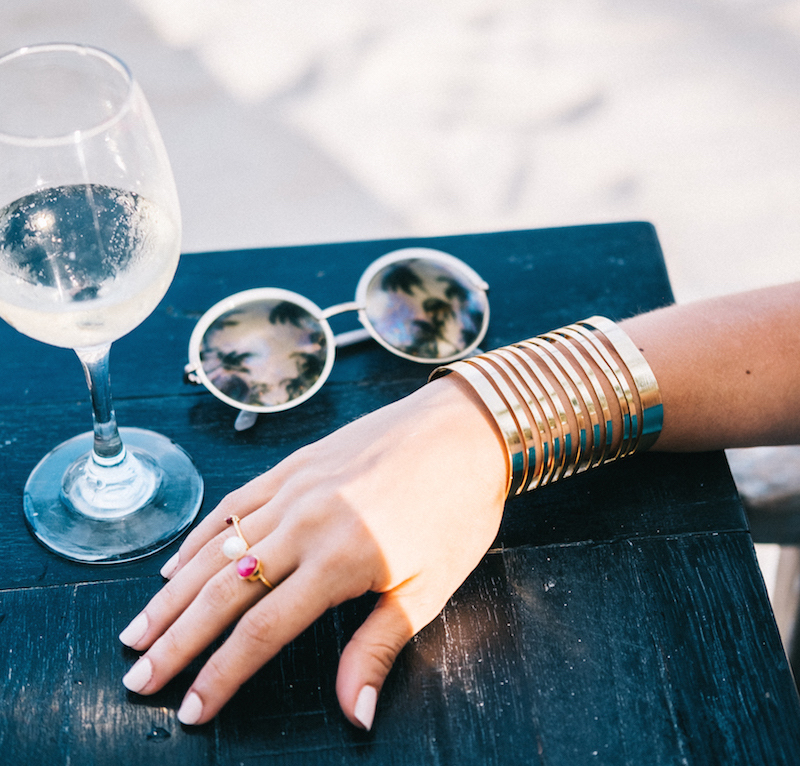 After a day of lounging by the beautiful infinity pool and getting in the jacuzzi, it was time for happy hour, right there by Las Olas Restaurant. Afuera de mi habitación (todas son estilo palapa), se podía ver el océano y la piscina infinita. De tanto azul y azul, que me inspiré y utilicé mis trajes de baño azules combinado con la pintura de uña "It's a Boy" (Un tono azul clarito de OPI). Después de un día de descanso en la piscina, y brincando en jacuzzy...nos tocó el "happy hour" del restaurante Las Olas que quedaba justo al lado. 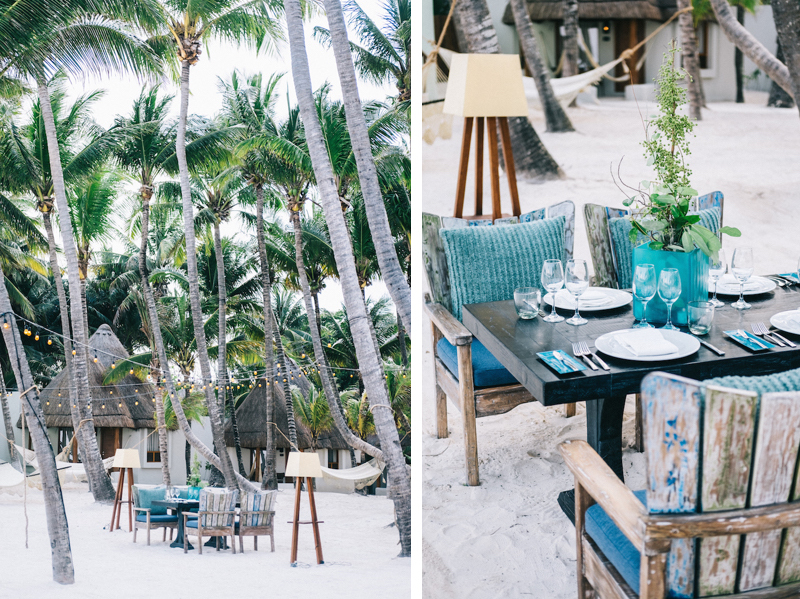 Just as if it were my dream honeymoon, the hubby planned a surprise romantic dinner during sunset. 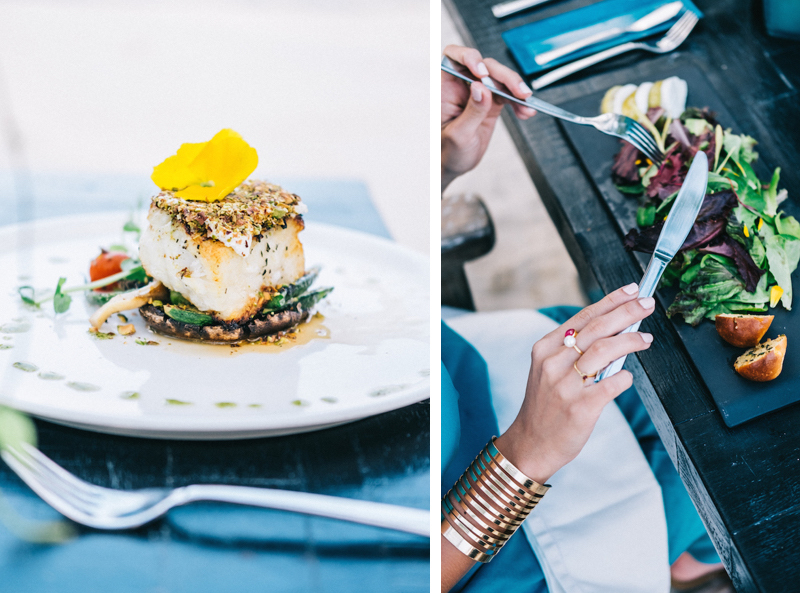 It was such a gorgeous set-up, just by the ocean, with string lights… the most delicious sea bass I’ve ever had and great wine pairings! 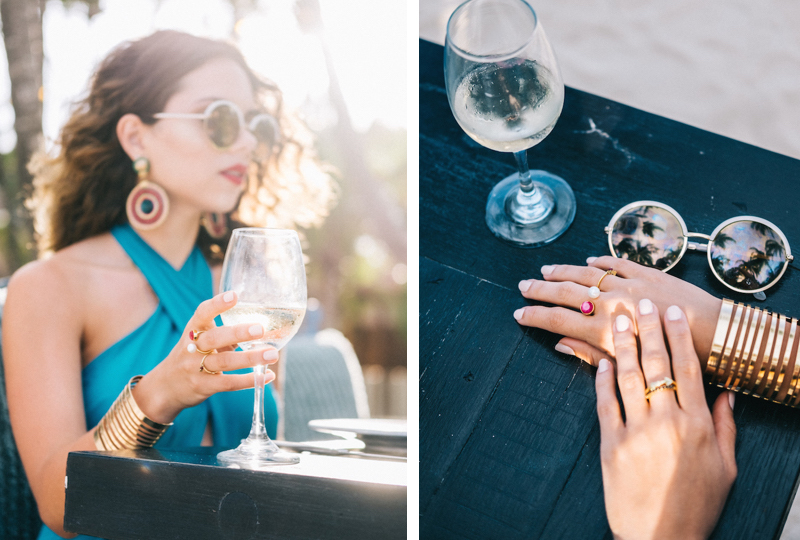 For the outfit, I wore a turquoise jumpsuit, statement bright earrings, pink lipstick…and a romantic soft pink polish “ Stop It, I’m Blushing “ from the SoftShades collection. Y como si fuese una luna de miel soñada, no sabía que Gabo planeó una cena romántica sorpresa durante el atardecer. No tienen idea lo lindo...con vista a la playa, lucesitas, la comida riquísima con sus respectivos vinos. Y en cuanto a mi look, me puse un jumpsuit color turquesa, unos aretes grandes llamativos, un labial rosado vibrante, y en mis uñas el tono "Stop It, I'm Blushing"- también de la colección SoftShades de OPI. 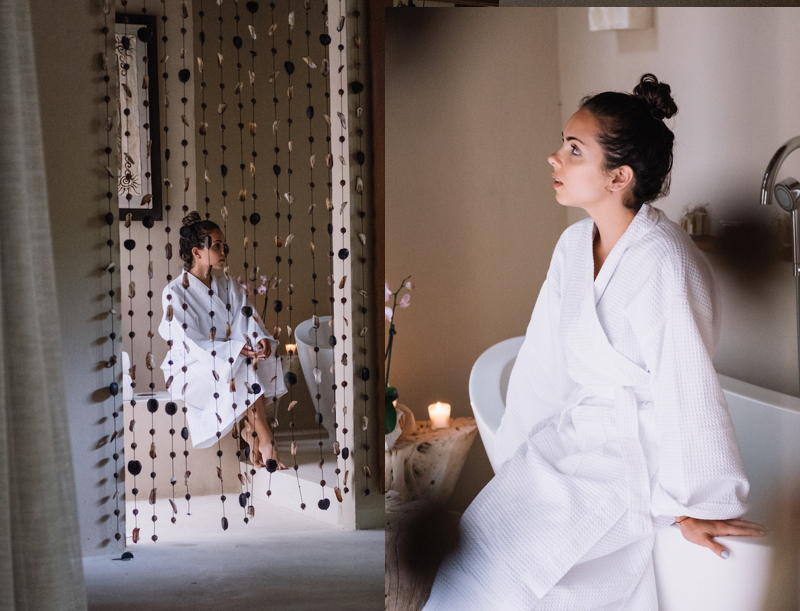 Our last day was bittersweet, I would have stayed forever; BUT I couldn't leave without a little pampering at the Mayan-inspired Revive Spa. 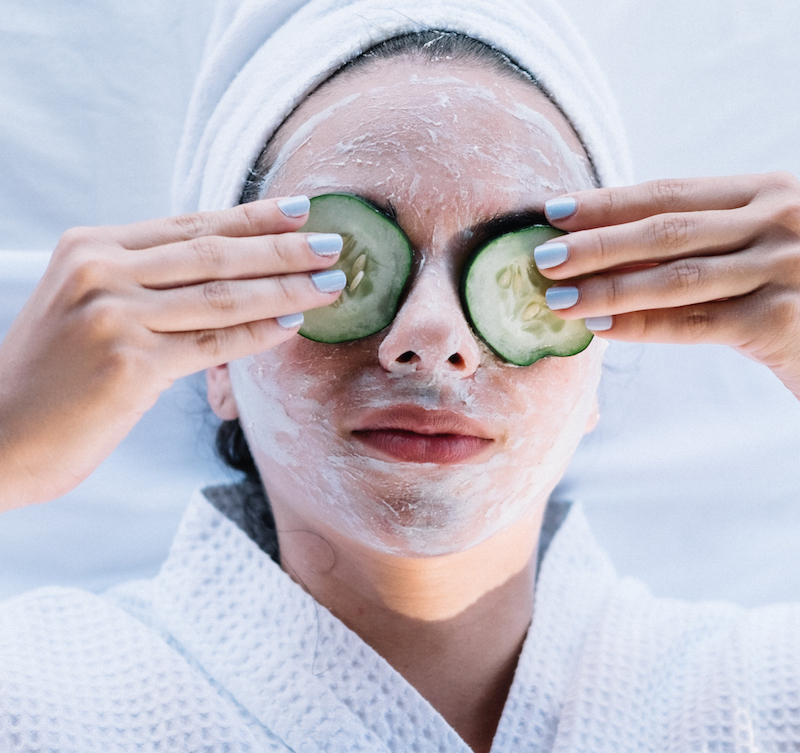 I got a deep-tissue massage I absolutely needed…and then a facial by the ocean! <3 The team at the Spa was incredibly sweet during all my mani #SoftShades polish changes. So for the last day - and the color I got to wear back to Miami - I chose” I am What I Amythest,” a perfect soft lilac that was also perfect for Miami. No tienen idea lo triste del último día... de verdad que me hubiese quedado a vivir ahí. 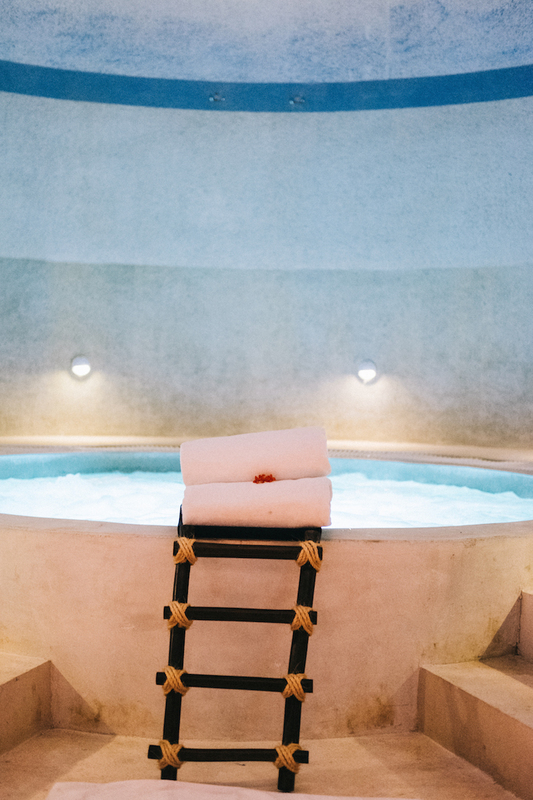 Pero no podía irme sin consentirme un poco en el Revive Spa (con un toque Maya muy cool y tradicional al mismo tiempo). Me dí un masaje profundo que necesitaba...y luego un fácil con vista al mar... de sueño. El equipo del spa fue increíblemente amable durante todos mis cambios de pintura de uña. Así que el último día para regresar a Miami escogí el "I am What I Amythest"- un tono lila perfecto también para Miami. 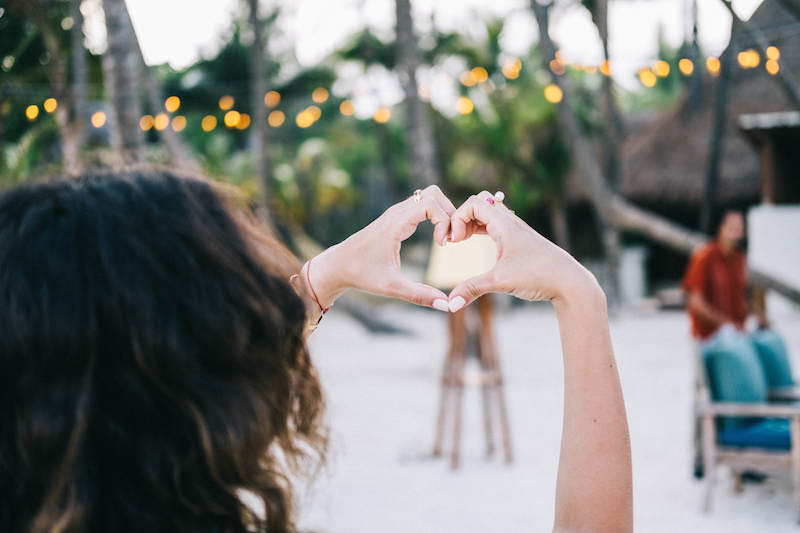 One lucky OPI fan will win a four-day, three-night honeymoon at the magical Mahekal Beach Resort. 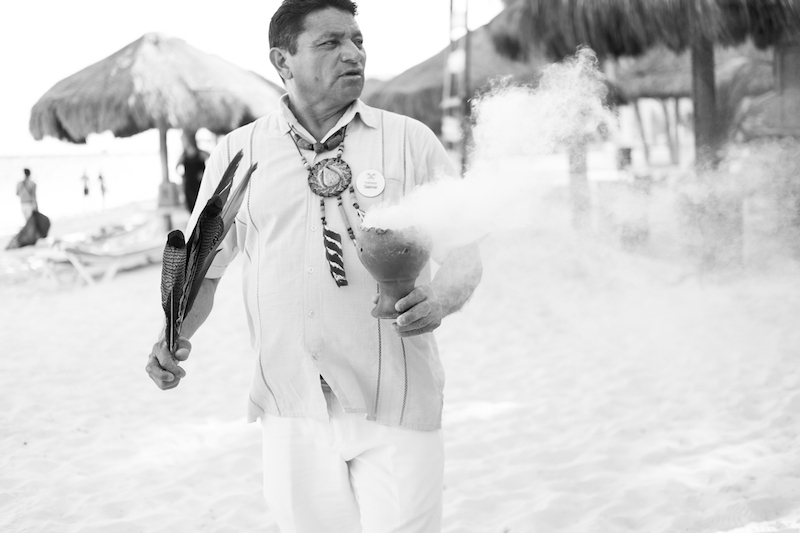 There will be amazing perks like massages at the Mayan-Inspired Revive Spa, a torch-lit dinner on the beach, and many more romantic surprises! You have to enter! You cannot miss out on this opportunity! Best of luck! 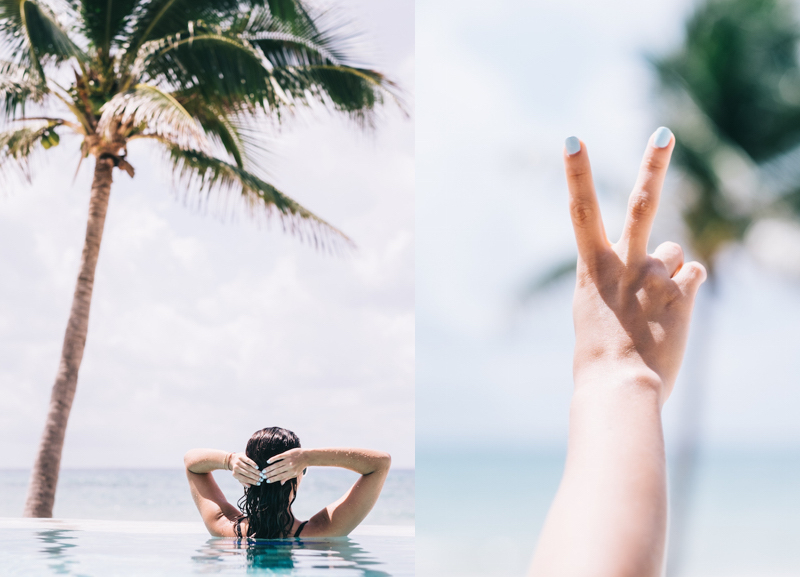 FTC Diclosure: This post was sponsored by OPI and Mahekal Beach Resort. All opinions are my own. Content was 100% curated by me. I only partner with brands I trust and fully recommend. Muy lindas fotos! Te ves preciosa :) Me encantan los detalles de los outfits y tus accesorios. Muy buen trabajo fotográfico. Gracias por compartir! I read your post and enjoy them very much. Could you tell me where to get your two piece bathing suit with hot pink top and multi colored bottom , I think it would look good on my since I am a bit overweight in the midsection thank you sincerely, Maria B.
I love the teal jumper!!! So cute! And thank you for sharing this sweepstakes, I've just entered. Beautiful blog.